SPORTS PLUS is a Montgomery County Maryland based 501(c)(3) non-profit organization that offers year-round, uniquely structured, co-ed sports and swimming programs for verbal children and young adults between the ages of 5 and 17 able to follow simple directions with mild to moderate autistic spectrum disorders, ADD/ADHD and other developmental disabilities. These children have capabilities that fit between existing mainstream sports programs and adaptive sports programs. SPORTS PLUS offers both indoor and outdoor programs that feature innovative techniques, highly trained coaches with extensive sports and special education experience, the participation of neurotypical siblings and a comfortable, supportive and productive environment for all participants and their parents. 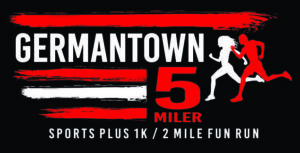 Packet Pick up on Friday from 3-7pm will be at Wegman's at 20600 Seneca Meadows Pkwy, Germantown, MD 20876. Look for MCRRC outside Wegmans in the covered area at end of the building. Race day PPU will be at the start finish line starting at 700 am. We are now a part of the Maryland State RRCA Championship Series!